Hagel Drive and LeMouel Terrace are the two newest roads in Yellowknife, each named after a community member who made their mark on the city. Hagel Drive takes its name from Elizabeth (Betty) Hagel, who moved to the city in 1949. She was the city’s first female councillor and promoter of Yellowknife becoming a capital city, according to the bylaw. “She was the first female councillor in Yellowknife, as well she was the lawyer on the Sikyea case,” says Mayor Rebecca Alty. Alty referred to the case of R. v. Sikyea, which went all the way to the Supreme Court of Canada. The case centred on whether Michael Sikyea should be fined under Migratory Bird Regulations for killing a mallard duck out of season. He argued his treaty rights to hunt for food and his not guilty verdict was upheld, making his one of the early cases defining Indigenous hunting rights. Alty says LeMouel Terrace is named after Yellowknifer, CBC broadcaster, polyglot and interpreter Joe LeMouel. LeMouel was a volunteer translator at Council, the bylaw states, and hosted a CBC talk show in Indigenous languages. He also raised his 10 children in the city and lived in Yellowknife until he passed away in 1987. Alty says the city always asks for public input when new roads are planned. They have also asked the Yellowknives Dene First Nation to submit names for future road openings. 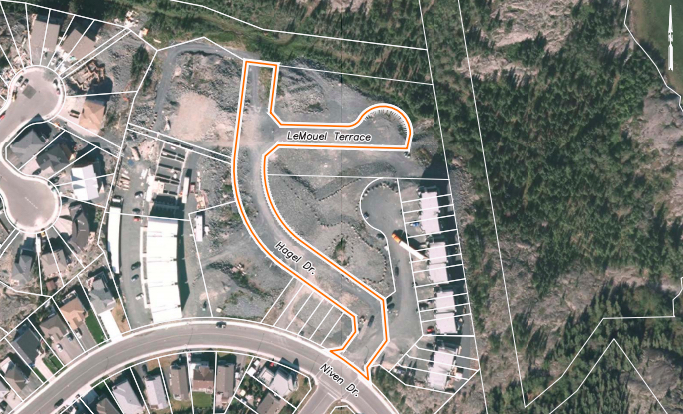 Hagel Drive and LeMouel Terrace will be opened within the Niven Lake subdivision. After a public hearing Monday, council voted unanimously to pass the third reading of the bylaw.